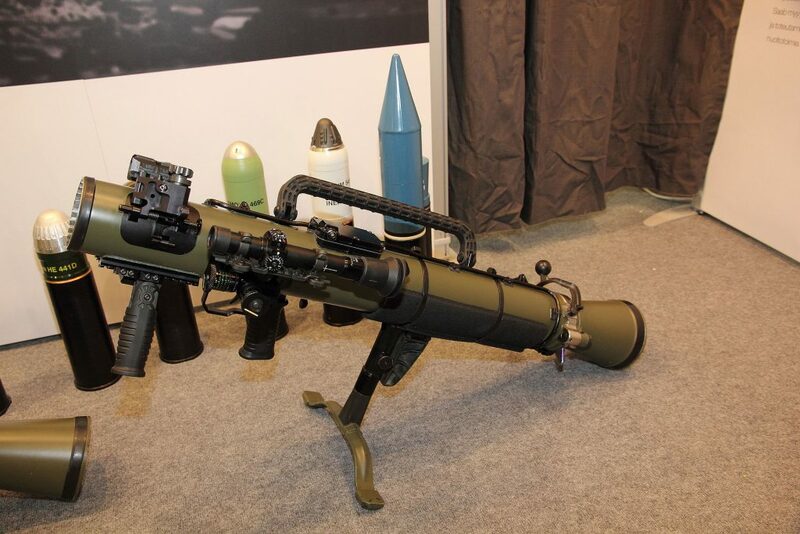 The famous “Carl Gustaf” 84mm recoilless launcher rifle is celebrating its 70th birthday this year! In a 3-part video series, Saab presents the story of the legendary weapon system. 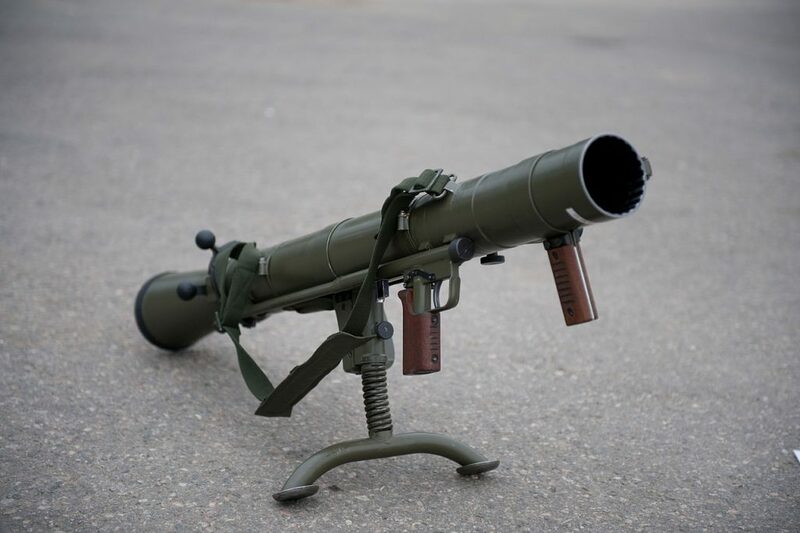 Officially called the Grg m/48 (Granatgevär – “grenade rifle”, model 1948) and introduced in 1946, the Carl Gustaf remains in widespread use today – providing a lightweight, low cost weapon that uses a wide range of ammunition, that is extremely flexible and suitable for a wide variety of roles. 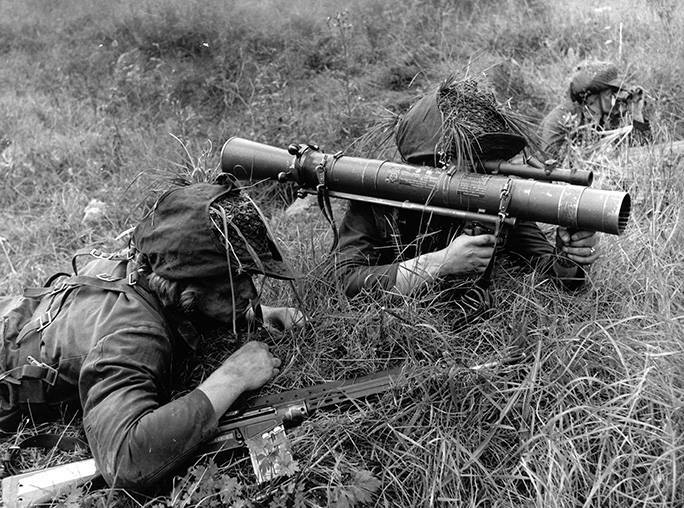 Unlike other anti-tank weapons of the era however, the Carl Gustaf used a rifled barrel for spin-stabilizing its rounds, as opposed to the fin-stabilized solution used by the others. The use of the recoilless firing system also allowed the Gustaf to use ammunition containing considerably more propellant. The Carl Gustaf fired its rounds at 290 m/s (950 ft/s), as opposed to about 105 m/s (340 ft/s) for the US Bazooka. The result was superior accuracy at longer ranges which enabled it to attack larger stationary targets at up to 700 m (2,300 ft). The relatively low speed of the projectile however restricts attacks on moving targets to a range of 400 m (1,300 ft) or less. The Gustaf was soon sold around the world and became one of the primary squad-level anti-tank weapons for many West European armies. An improved, lighter and slightly shorter version the Carl Gustaf M2 was introduced in 1964 and quickly replaced the original version. The Carl Gustaf M3 version was introduced in 1991 – it reduced the weight even further by replacing the forged steel tube with a thin steel liner containing the rifling, strengthened by a carbon fiber outer sleeve. The external steel parts were also replaced with plastics and aluminium alloys. In 2014, Saab Dynamics introduced the new M4 variant. Compared to the M3, the M4 is 3.4 kg (7.5 lb) lighter weighing 6.6 kg (15 lb) and shorter with a 950 mm (37 in) overall length. The shorter length was in response to the need to wield the weapon in urban terrain, and weight savings were achieved through using lighter components whenever possible including a carbon fiber tube with titanium liner, as well as a new venturi design. Other new features include a red-dot sight, a travel safety catch to allow the M4 to be carried while loaded, an adjustable shoulder rest and forward grip for improved ergonomics, a shot counter to keep track of how many rounds have been fired to manage the weapon’s 1,000-round barrel life, picatinny rails for grips and sight mounts, and a remote round management function so intelligent sights can “talk” to programmable rounds.